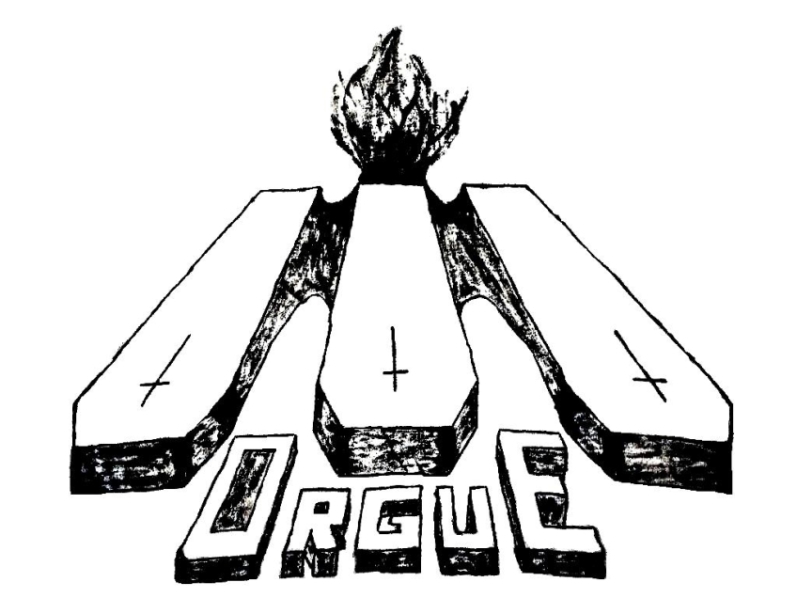 Morgue formed in Porto, September 1989, by Artur bass and Manuel Toga guitar. Then joined Paulo Pinto "Mosh" drums and soon after Jorge Silva (John) vocals. Later, due to internal problems, John leaves and it is replaced by Nando. With the departure of Nando, John returns to the band as a vocalist, and Victor Bertoquini goes to the guitar. Artur leaves and João take is place. 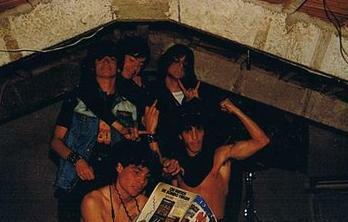 The group presents live for the 1st time doing the opening for Braindead, February 4th 1990 at the Cais 447, Matosinhos. Playing later in the same month on the night of Carnival, at a collectivity. The line up for those 2 gigs was Jorge Silva (John) vocals, Manuel Toga guitar, Vítor Bertoquini guitar, Paulo Pinto (Mosh) drums and João bass. They were scheduled in the "Rock Against Racism (Rock contra o Racismo)" in June of that year, but they had to cancel the performance. A small curiosity: "we turn on the hand to our bassist and presented as the official justification for our non-action that he has injured. in fact, we had lost our rehearsal room immediately following the concerts in February and had never been able to rehearse, so we were not prepared." Over the years, between successive stops for lack of place to rehearse (which was a huge problem at the time) were too many people at one time or another, joined the band line-up. 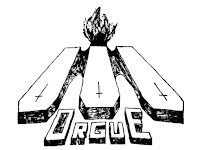 One of the most radical changes occurred after the opening of Poltergeist Studios (which opened using some of the Morgue stuff), coinciding with the fact that after a considerable time stopped, again with a place to rehearse, Paulo Pinto (along with Alfredo Barbosa) formed Genocide, which created some doubt about what project he wanted to actually. This led, in one sitting, John and Manuel replace all the remaining line-up (whose interest in the project had now faded) and enter Paulo Pereira guitar, Rui Carreiro bass and Raul Filipe Silva drums. This line up remained, always brushed off public appearances but rehearsing, until 1993, when they form a new project(Voyager), and leave the band. Later, Raul would return and would be only drummer hypothesis for Morgue, while a number of people went through the line up. The final formation of Morgue eventually solidify with the entry of Henrique Fernandes contrabass and has marked a divergence in terms of musical composition in relation to the "Thrash Metal" of the beginning. 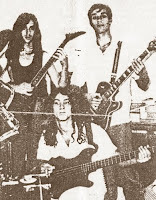 After being able to find, and keep, a place to rehearse, the line-up came to be completed with the entry of Samuel Coelho violin and Nelson horn and synthesizer and would eventually give a concert on February 18, 2005 in Porto-Rio opening for band Genocide, playing a style defined as "Progressive Thrash". After this concert, and due to a number of circumstances beyond the members the band eventually sink into indefinite hiatus, which still did not wake up after almost nine years without ever declaring its end .